�In 2016, Arden Park Roots broke the all-time attendance record at Sacramento's 25-year-old Concerts in the Park series with a crowd of over 7900. The year also saw the band headlining several NorCal festivals and sharing the stage with bands such as Pepper, Weezer, Slightly Stoopid, Ballyhoo, Dirty Heads, Damian Marley, Steel Pulse and The Wailers. Look for album 5 to be released in late 2017. �In 2014, they released their fourth album "BURNING THE MIDNIGHT OIL." The album was released to rave reviews and continues to grow in popularity with sales through iTunes, CD Baby and Amazon. 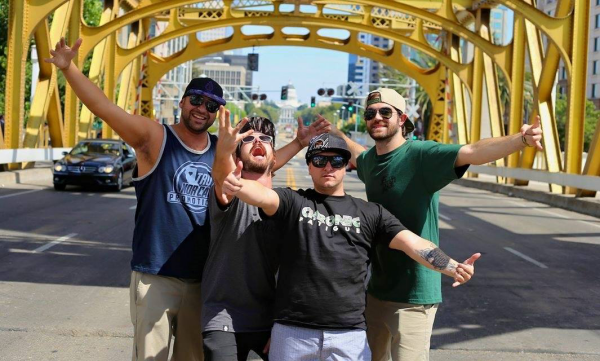 �In 2013 they became the first and only local band to sell out tickets headlining at Sacramento�s largest downtown rock venue, Ace of Spades (Capacity 1,000). �In 2012, after receiving three Sacramento News and Review �SAMMIES� for �Best Reggae/Rock band they were inducted into the Sacramento Music Hall of Fame alongside legends Papa Roach, the Deftones, Cake and Tesla. �In late 2011, they released their third full-length album �PIPE DREAMS.� The album release made huge waves and mixed many styles to create a fresh new sound. It debuted at #2 on iTunes and remained in the top 100 for almost two years. �They have toured nationally over the past 7 years playing over 150 shows a year. "Sammie" award for Best Reggae Rock Funk band 2008, Sacramento News and Review. "Sammie" award for Best Reggae Rock Funk band 2009, Sacramento News and Review. "Sammie" award for Best Reggae Rock Funk band 2011, Sacramento News and Review.